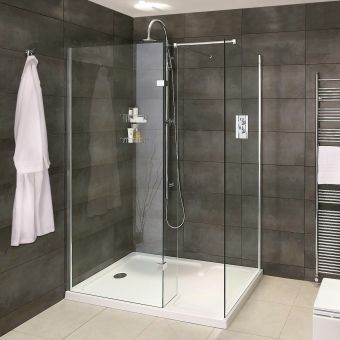 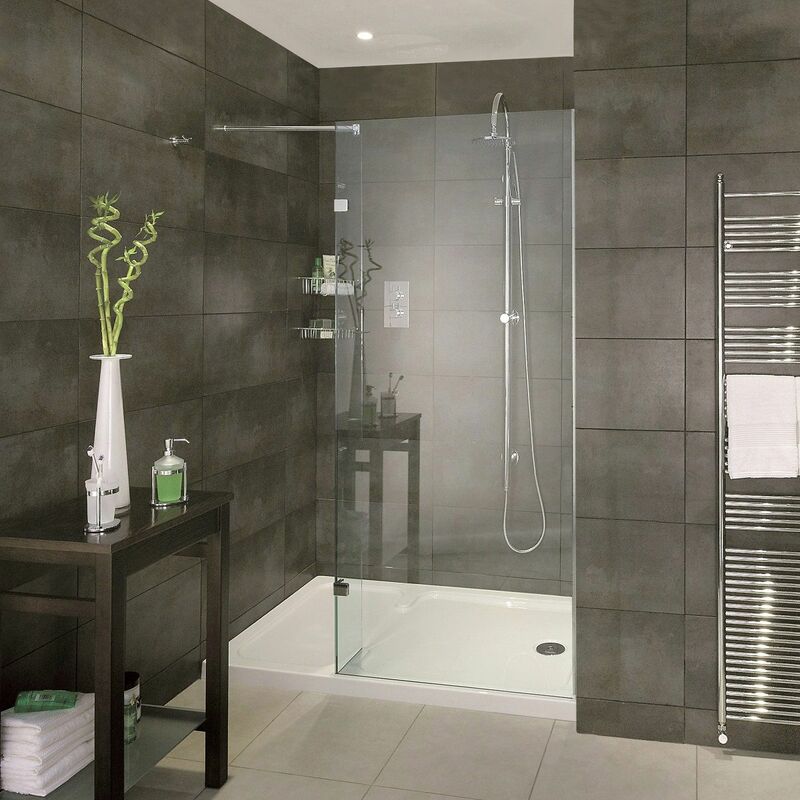 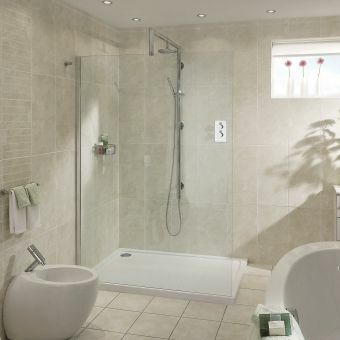 The SP420 is an excellent showering solution for those bathrooms or wet rooms in which wider recess space is available. 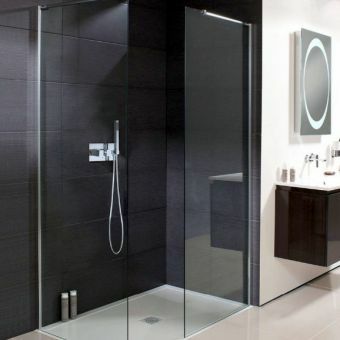 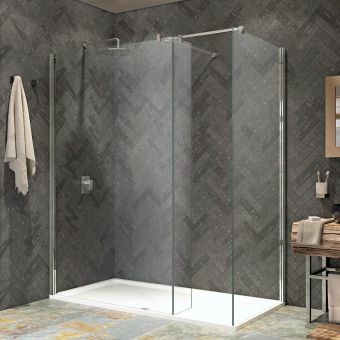 As with other enclosures in Aqata's Spectra series, frameless clear glass panelling, polished chrome fittings and slim wall profiles combine to produce a stunningly elegant overall effect. 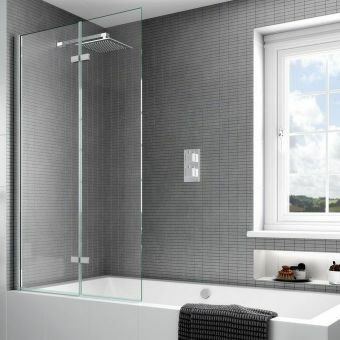 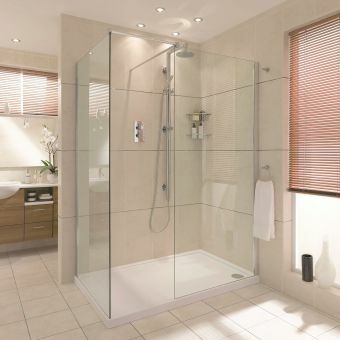 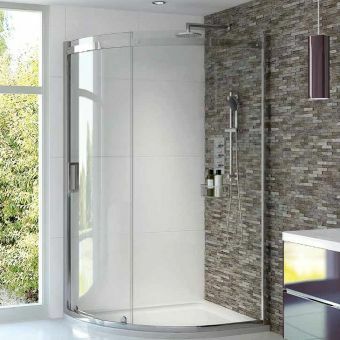 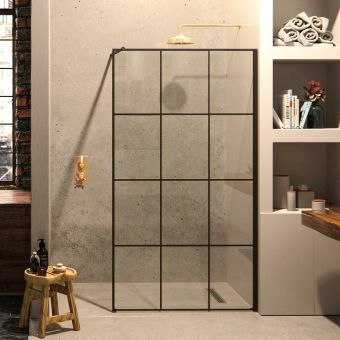 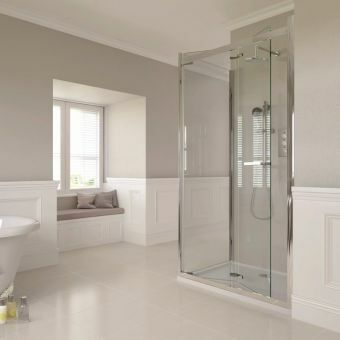 The enclosure will form a strikingly tasteful focus in any bathroom or wet room. 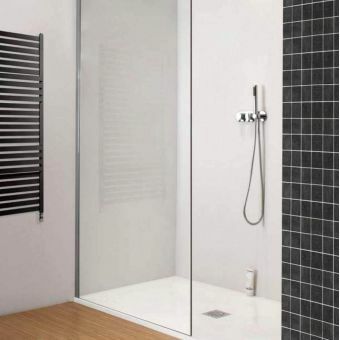 The enclosure is supplied with steady bars and is available in two sizes. 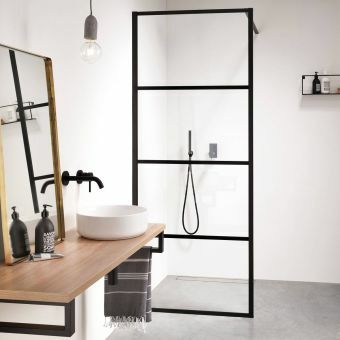 It can be ordered with either left- or right-handed entry. There is a dedicated tray available which is specially shaped to follow the shape of the screen and its return panel.